Automotive News Europe honors L.E.A.D.E.R.S. Automaker Mercedes-Benz, supplier Tenneco Inc. and car-sharing firm Zipcar Inc. have been elected the 2011 winners of the second annual Automotive News Europe/Automotive Intelligence Center L.E.A.D.E.R. awards. L.E.A.D.E.R. stands for Leaders in European Automotive Development, Excellence and Research. The awards recognize one top achievement each for innovation in product development and environmental technology, supplier technology and retailing. Mercedes' future includes zero emissions cars that will borrow traits from its F-Cell concept. Mercedes-Benz was chosen for its 125 years of contributions to the automotive industry, which started in 1886 with the invention of the gasoline-powered car by Carl Benz. The company was also picked for its work toward boosting fuel economy and lowering the emissions in its cars without sacrificing the brand's performance and character. This is being done via its so-called BlueEFFICIENCY strategy, which is being used to cut emissions of nitrogen oxides (NOx) in diesels as well as to demonstrate how alternative fuels such as natural gas can be used more effectively. Mercedes also is charging ahead with efforts to electrify its future powertrains through solutions such as gasoline-electric hybrids in premium models, a lineup of full-electric vehicles (its so-called E-Cell line), range-extended electric vehicles (E-Cell Plus line) and fuel cell vehicles (F-Cell line). 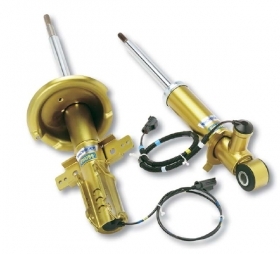 Tenneco's Continuously Controlled Suspension (CES) system adjusts damping levels according to road and driving conditions. Suspension and exhaust system supplier Tenneco was chosen for its outstanding financial results in 2010 and its ability to overcome the recent economic turmoil that has hit the industry. Tenneco has stayed ahead because of the innovative solutions it has introduced in Europe over the past few years in the emissions- and ride-control fields. An example is its use of electronics in the vehicle's suspension via its Continuously Controlled Suspension (CES) semi-active system. The technology continuously adjusts damping levels according to road and driving conditions, offering sports car handling with luxury sedan comfort. The supplier also has excelled by launching a complete lineup of emissions control products that are engineered to meet tougher clean-air regulations worldwide. An example is XNOx Selective Catalytic Reduction (SCR), a fully integrated emission control solution designed to meet the latest diesel emission regulations for NOx reduction. Zipcar offers car-sharing services in 14 metropolitan areas, including London and New York City, and has more than 8,000 cars. Zipcar Inc. was chosen for its extremely simple car-sharing program, which offers a wide range of vehicles including hybrids, plug-in hybrids and electric vehicles. The company is offering its services in 14 metropolitan areas, including London, and has more than 8,000 cars. 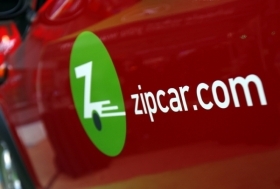 Zipcar recently bought London-based car-sharing company Streetcar and now aims to create a single, global brand dedicated to offering car-sharing services all over the world. The acquisition enables Zipcar, which raised nearly $175 million during its initial public offering in April, to further expand its portfolio by offering more vehicles, a greater variety of hybrid and other green cars, and more locations. High-ranked representatives from Mercedes, Tenneco and Zipcar will attend the Automotive News Europe Congress in Cologne on June 30 to accept their 2011 L.E.A.D.E.R. awards.